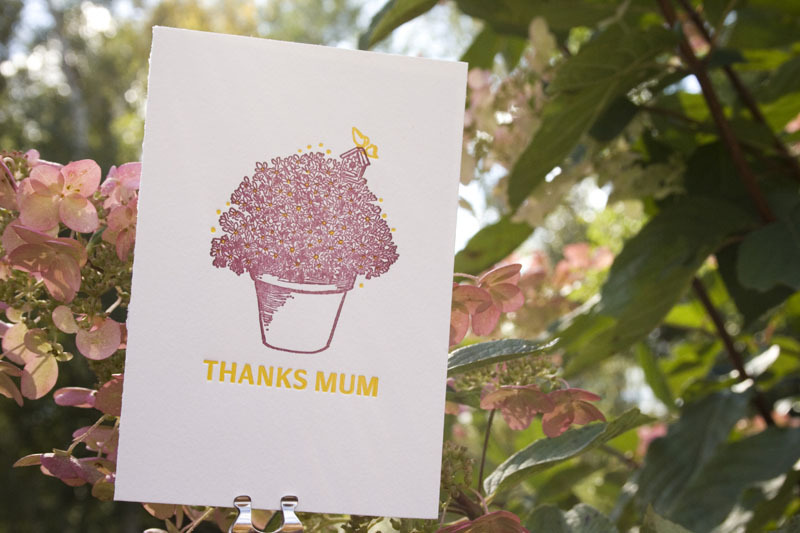 Chantal illustrated the beautiful bouquet of mums on this Mother’s Day card. This card is available now in our Etsy shop. 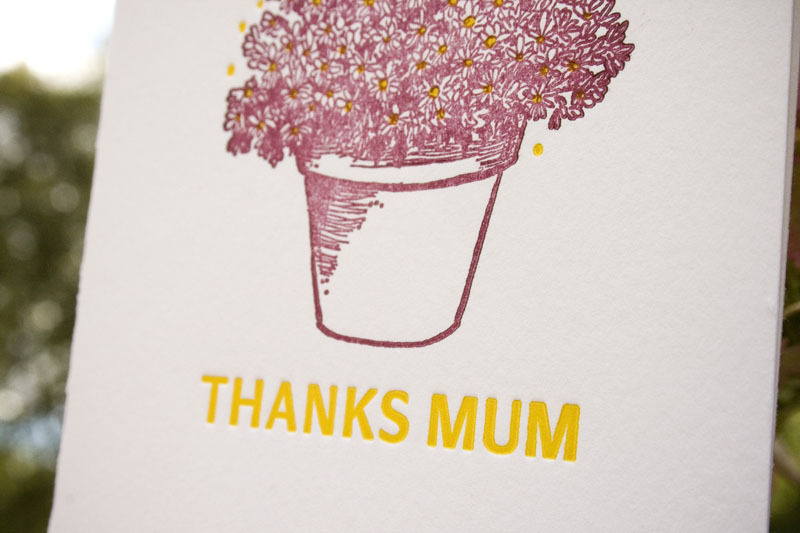 Show your mother how thankful you are by presenting her with this card on Sunday. This is a 2-colour letterpress card, printed by hand on our Chandler and Price letterpress.